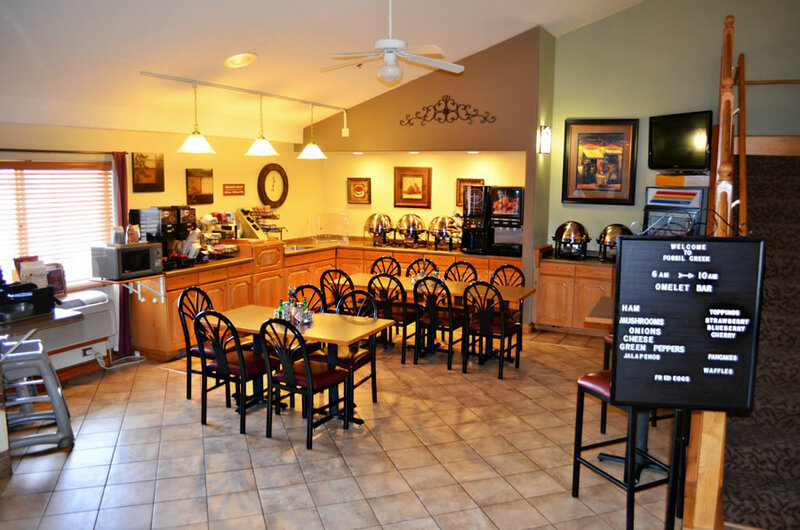 Start your day off right with a great breakfast at Fossil Creek Hotel & Suites. Our complementary enhanced continental breakfast will send you on your way with a smile. We feature eggs, french toast, pancakes, biscuits and gravy, cereal, fresh fruit, and of course fresh hot coffee. While you are in Russell, local restaurants will provide several different dining options. Whether you are ready for a mouthwatering Kansas steak, pizza with a local flair, quick sandwich, or a good old drive-in Russell has it all. Daily buffet, menu, lounge, & great steaks just the way you want them! Daily buffet, pizza, sandwiches, pasta and cold beer.